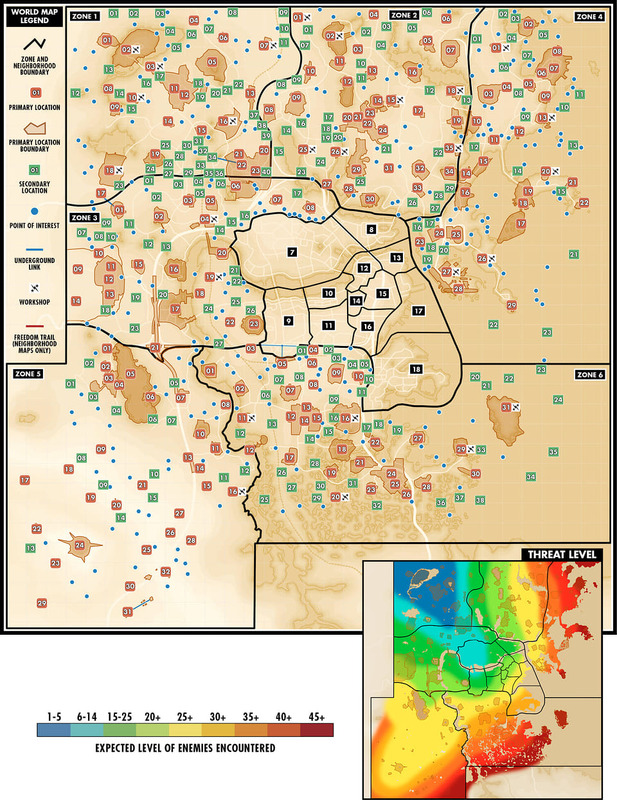 The map above is a Fallout 4 map showing the various levels of enemies encountered as well as the threat levels. You'll also find zones and neighborhood boundries, workshops, points of interest and other locations. Click the Fallout 4 map above to view the full printable version.